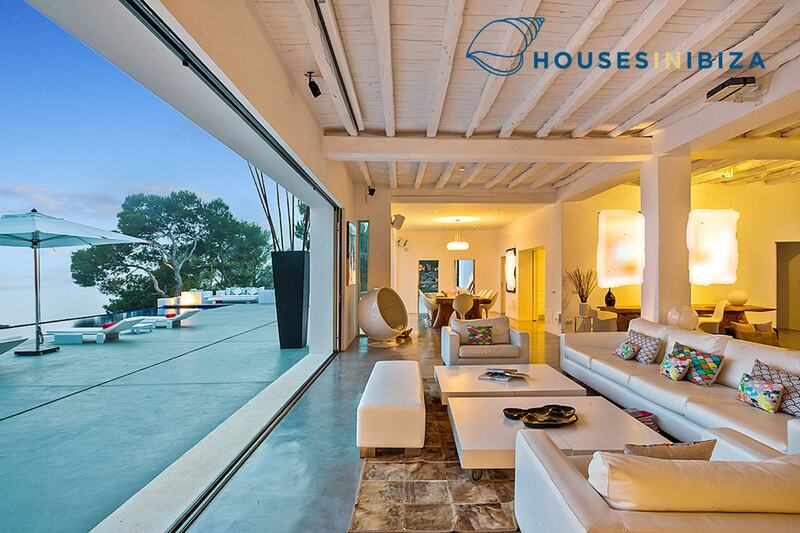 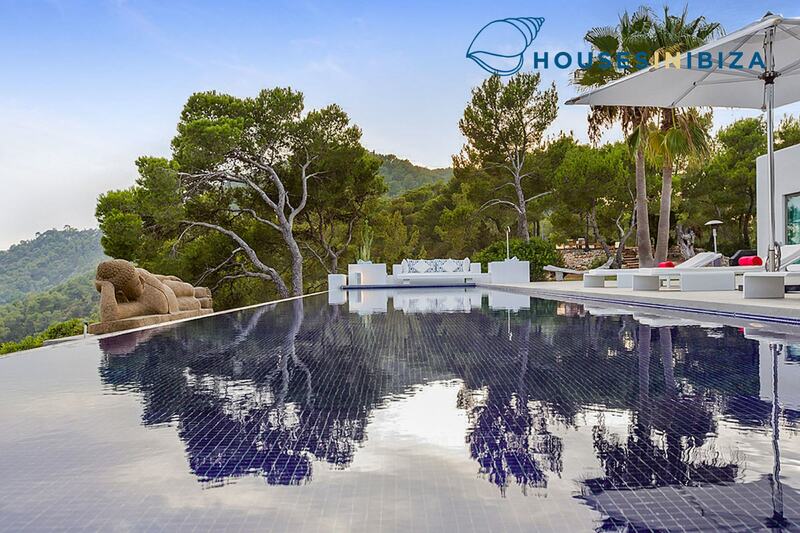 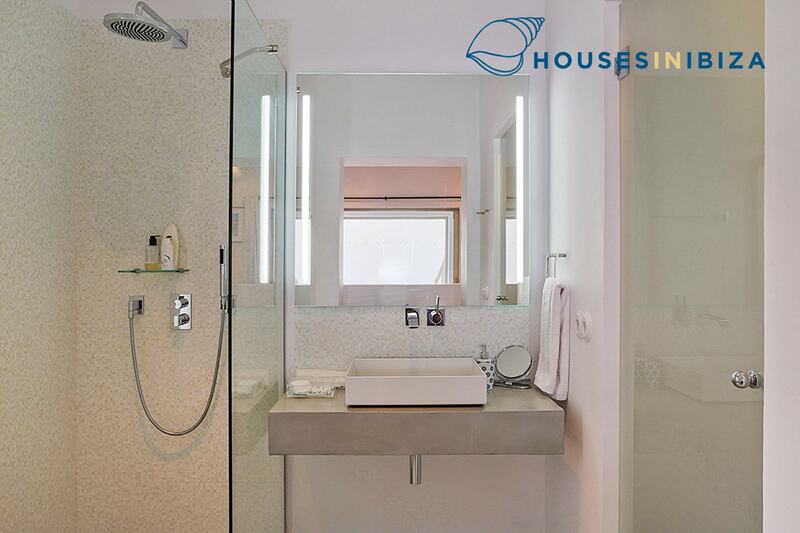 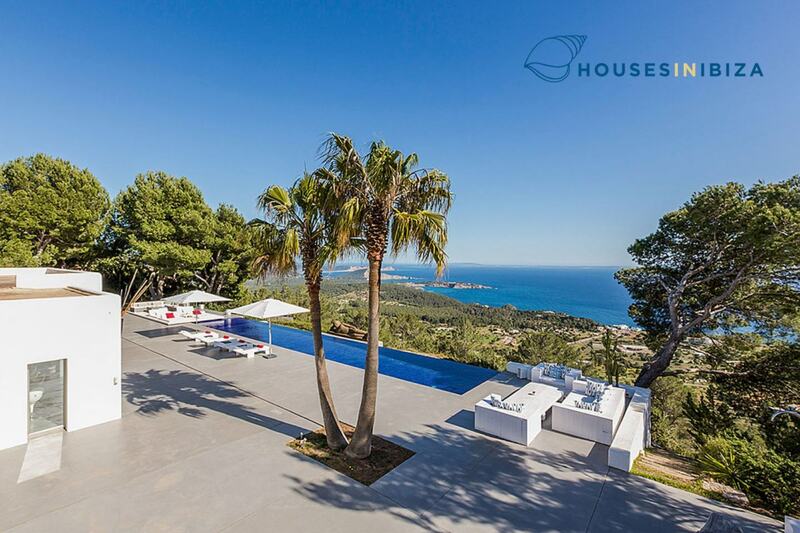 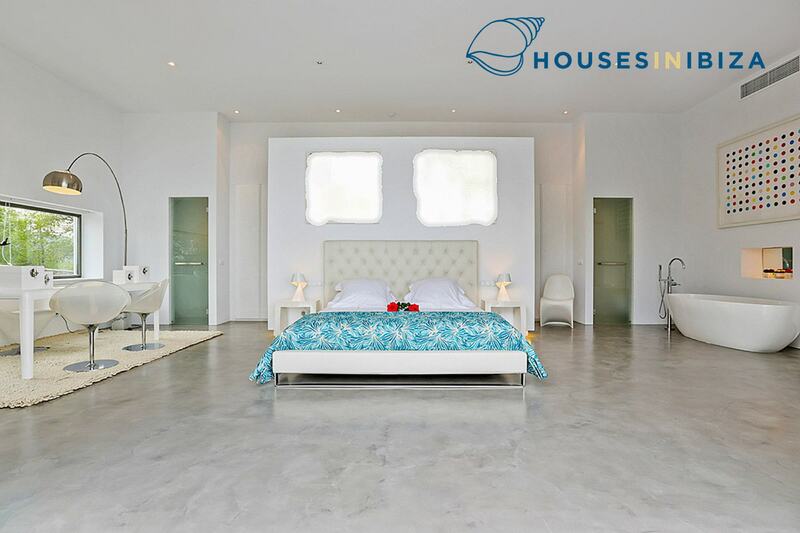 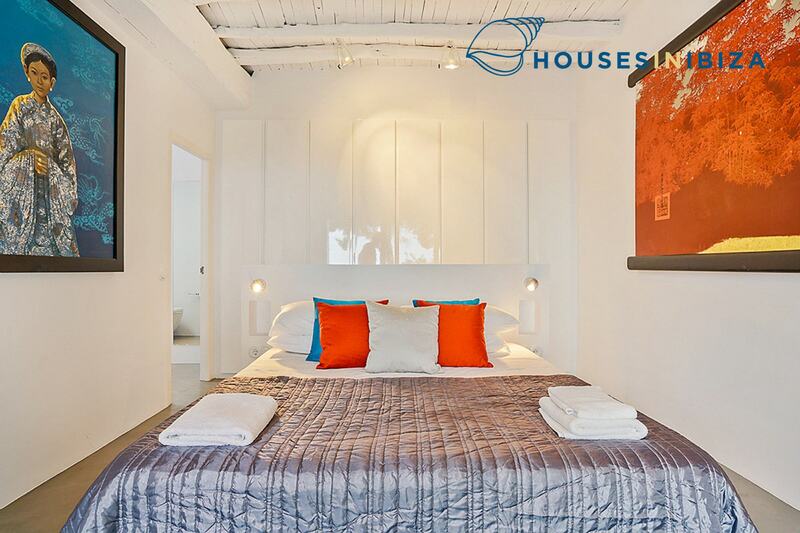 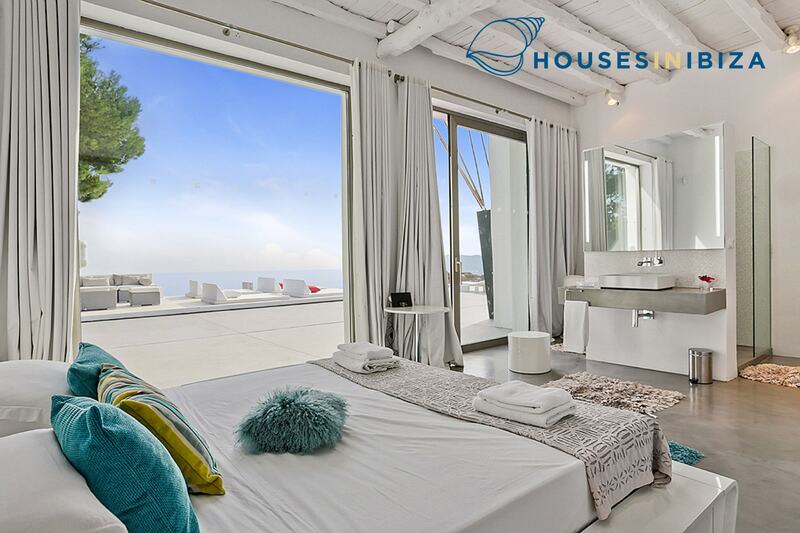 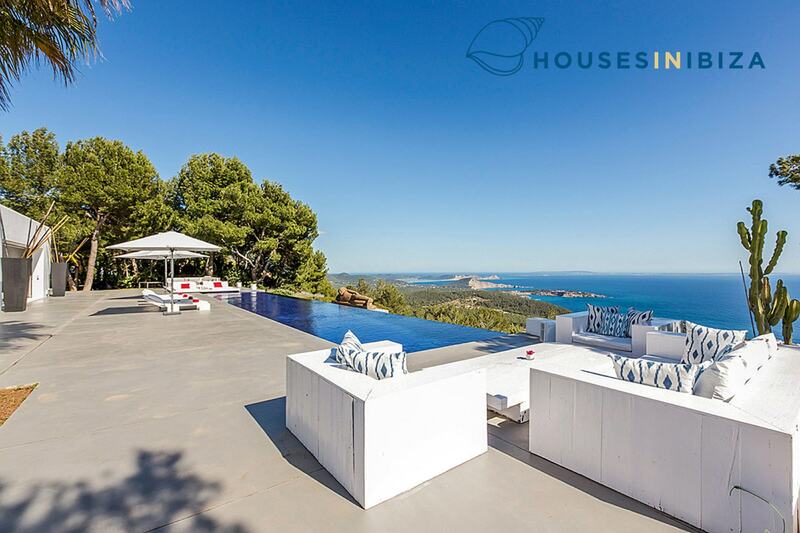 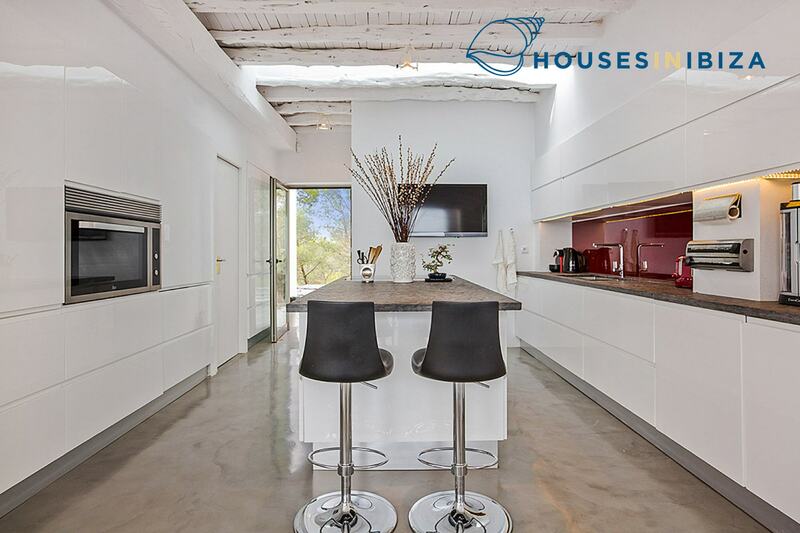 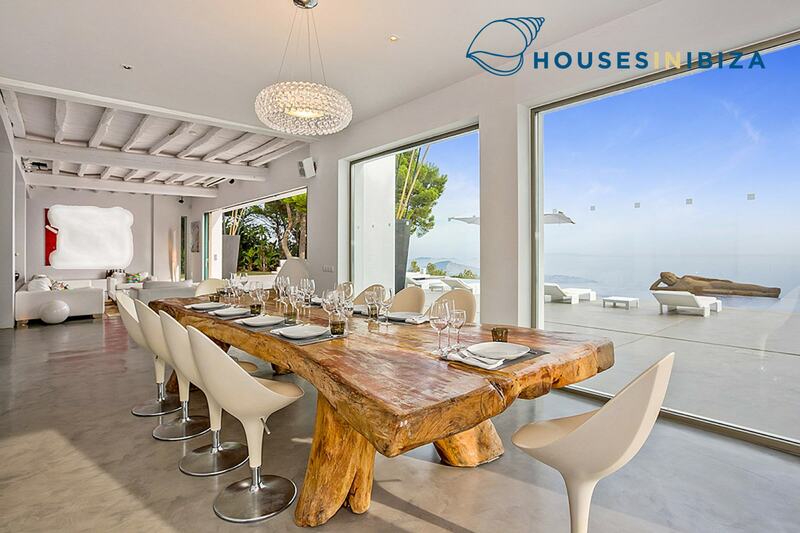 This sleek modern 5 bedroom home is elegantly perched on a hill with spectacular views onto the Mediterranean and the island of Formentera close to the magical village of Es Cubells situated in the South West of the island. 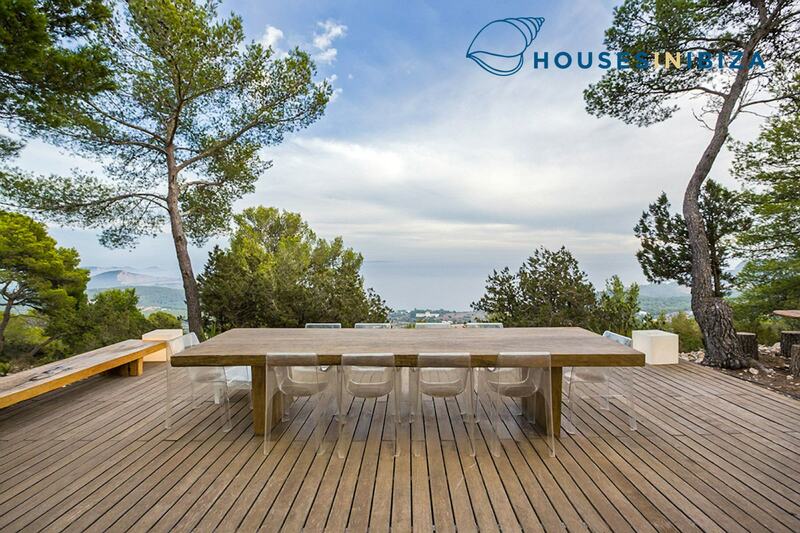 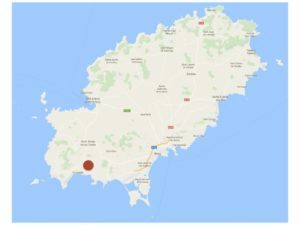 The property is very private and situated in a very quiet yet accessible area. 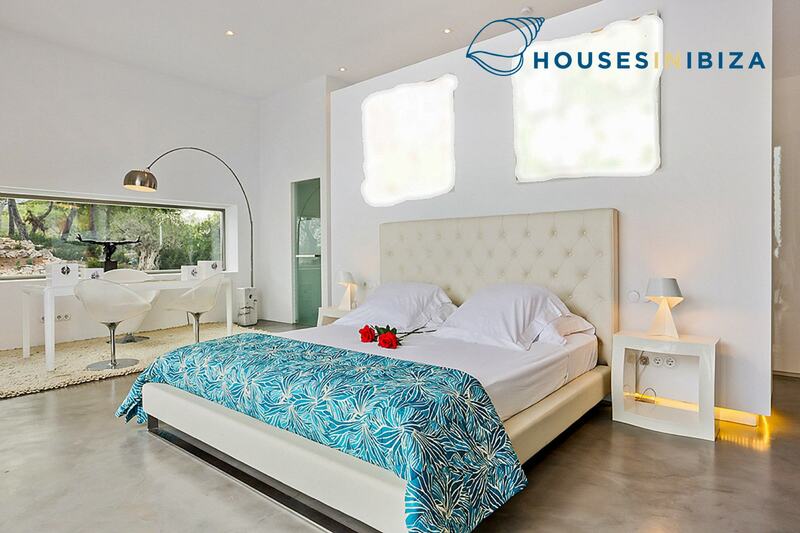 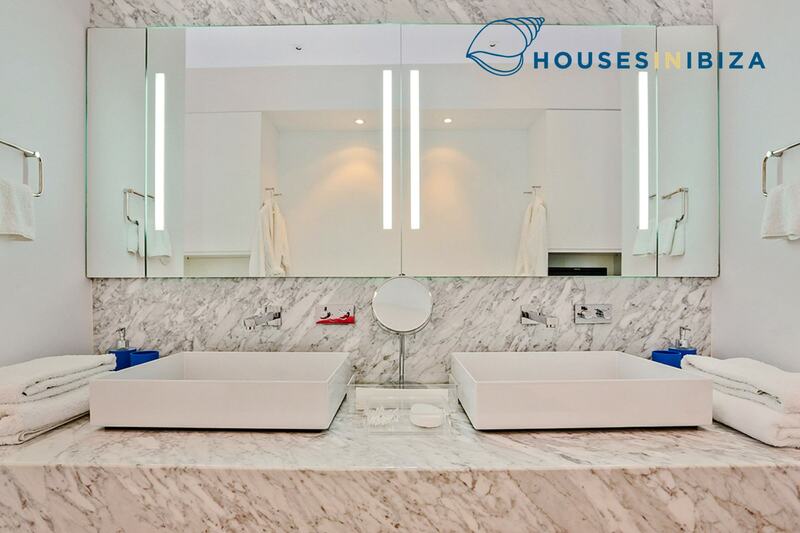 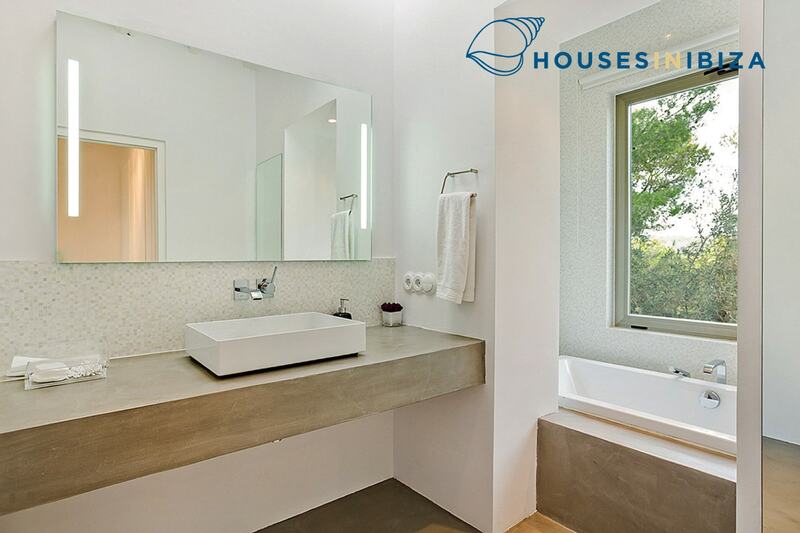 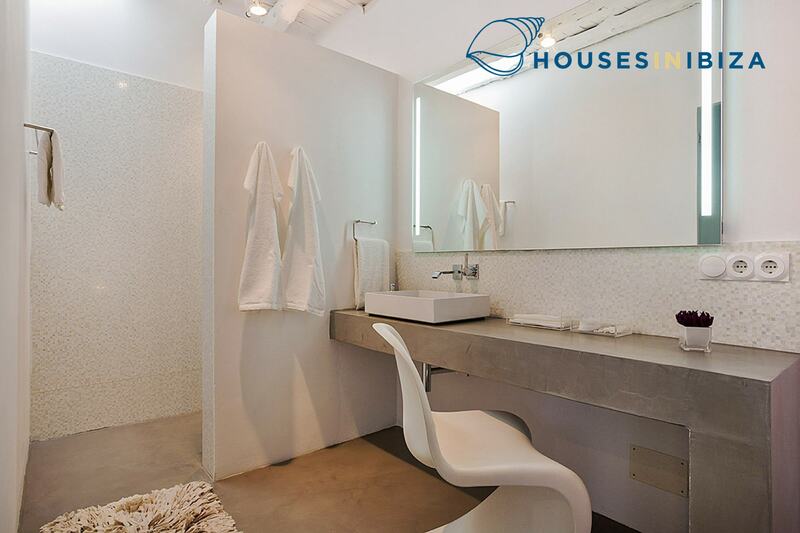 All 5 bedrooms are distinct with a contemporary feel and modern works of art. 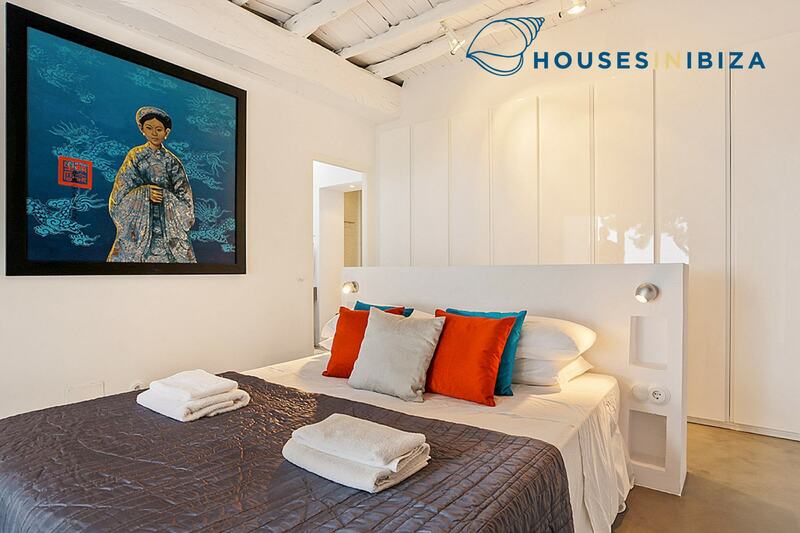 All the bedrooms are complete with en suite bathroom with a tub or a shower, air conditioning, Safety box , Sat TV and Wi- Fi. 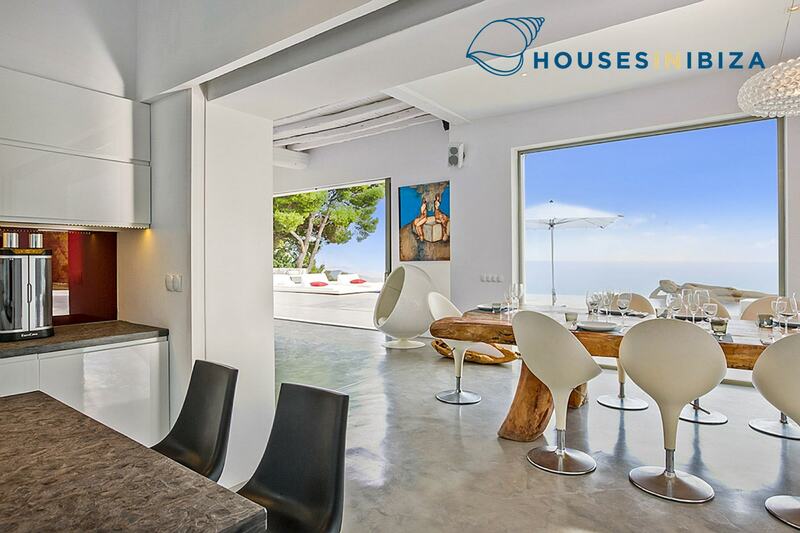 The large living room leads to the terrace and the pool area, the adjacent dining room is large and ample and the professional kitchen is fully equipped with a 90 cm oven, induction stove and three refrigerators. 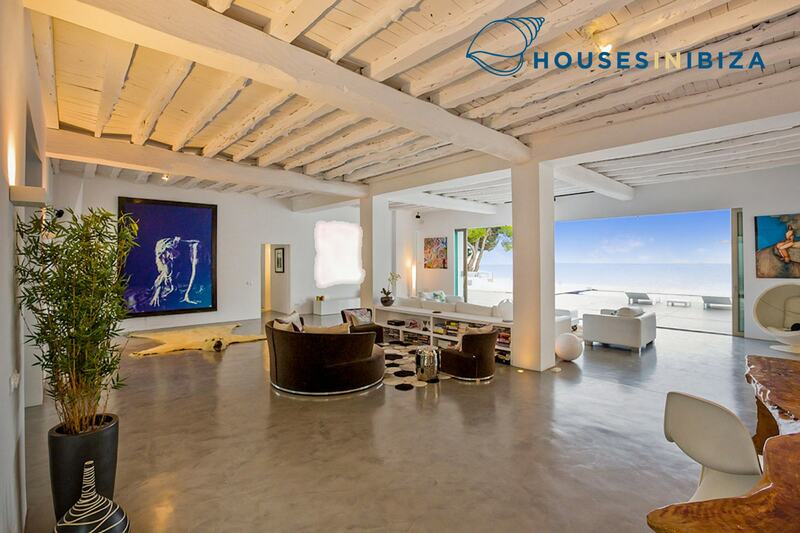 There is a state of the art sound system, cinema projector and Apple TV. 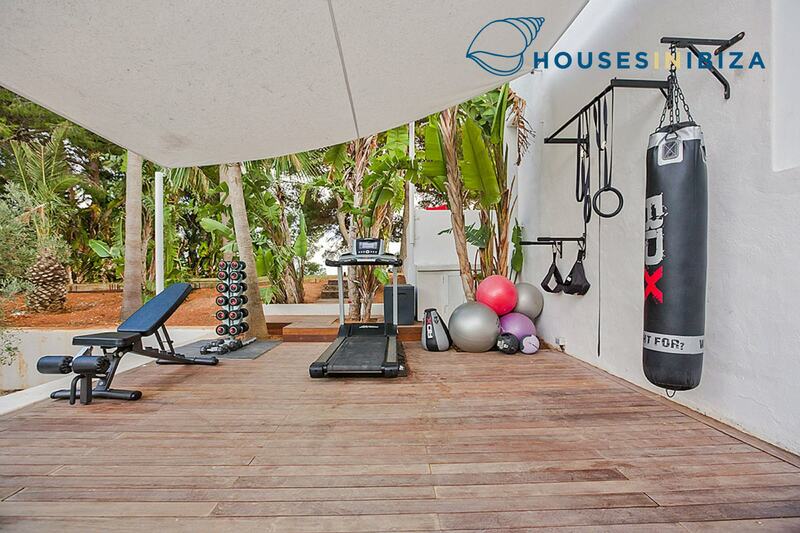 The outdoors enjoys plenty of spaces to relax and enjoy one of the best views on the island, lounging around the 25 m infinity swimming pool or breaking a sweat at the al fresco gym. 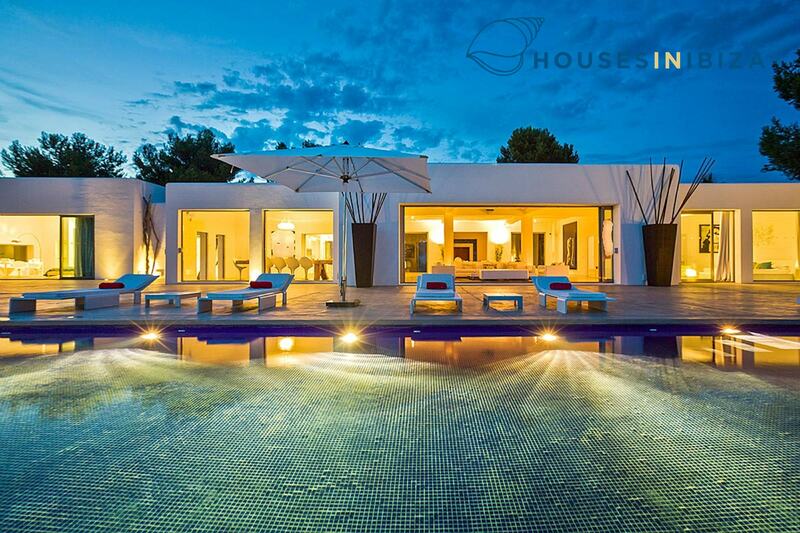 Just by the pool area there is a secluded space with extraordinary views ideal for starlit dining. 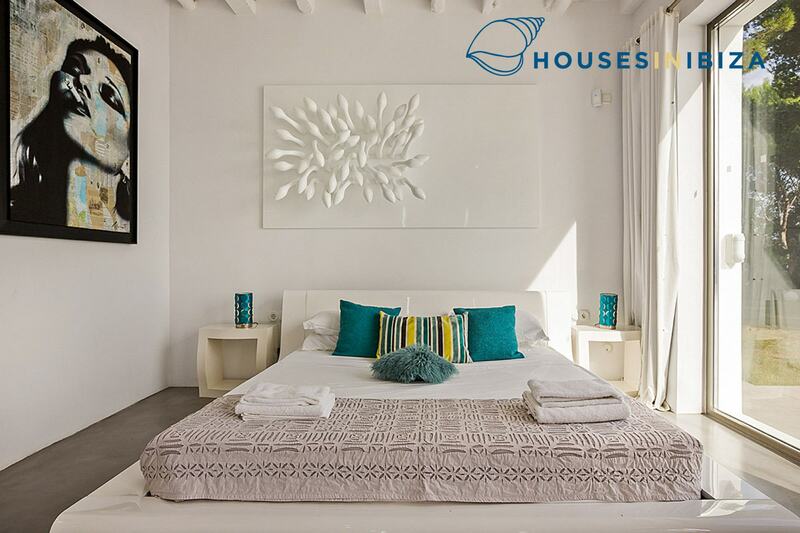 The property is overseen by two live in staff, who take care of the housekeeping, light laundry, gardening, maintenance and security. 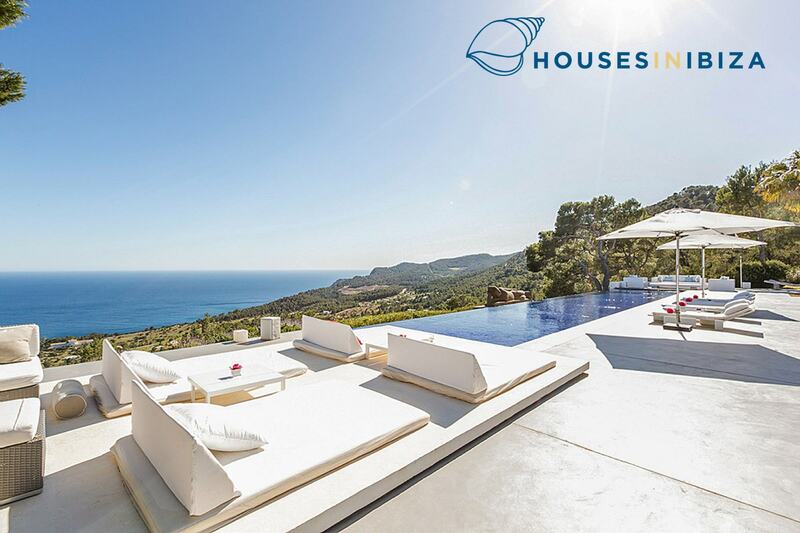 There is an off site, hands on, house manager. 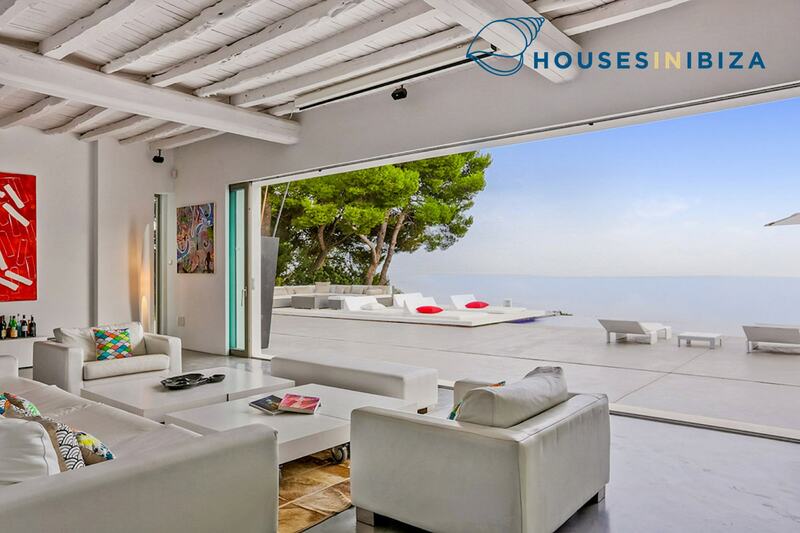 The house has indoor alarm system as well as outdoor perimetric alarm connected to the police. 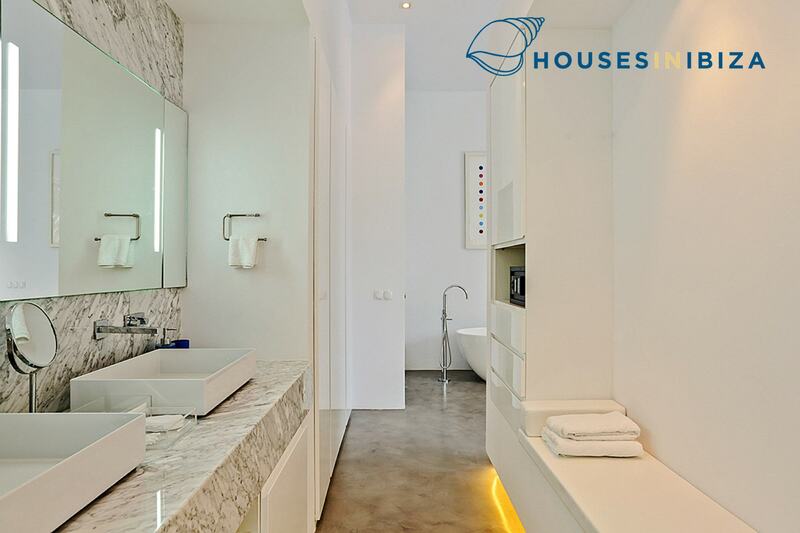 There are additional 2 rooms with bathrooms available for service.